Kaduna State Governor, Nasir El-Rufai, has mocked the presidential candidate of the Peoples Democratic Party (PDP), Atiku Abubakar, for claiming he defeated President Muhammadu Buhari in the state. Atiku had told the election petition tribunal, that Kaduna was among the states where the Independent National Electoral Commission (INEC) in connivance with the All Progressives Congress (APC), robbed him of his victory. But speaking with State House correspondents after meeting with Buhari on Friday, El-Rufai said Atiku had never won in the north-west state since he started contesting presidential election. “Well, I heard about that. Initially, I thought it was a joke and when I checked I saw clearly that he said he won Kaduna. It must be in his dreams. “Let me say this without any fear of contradiction, since President Buhari started contesting for the presidency since 2003, he has never lost Kaduna. So, PDP has never won elections in Kaduna from 2003, even with a sitting governor in 2003, 2007, 2011, 2015. It has never happened. “I don’t know what will happen that Atiku will win Kaduna in this elections this time. He lost Kaduna, he lost very badly, even though about 100,000 votes he claimed to have got were added because elections conducted without card reader in some parts of the state, that’s how he even got up to the 400,000 that he got. 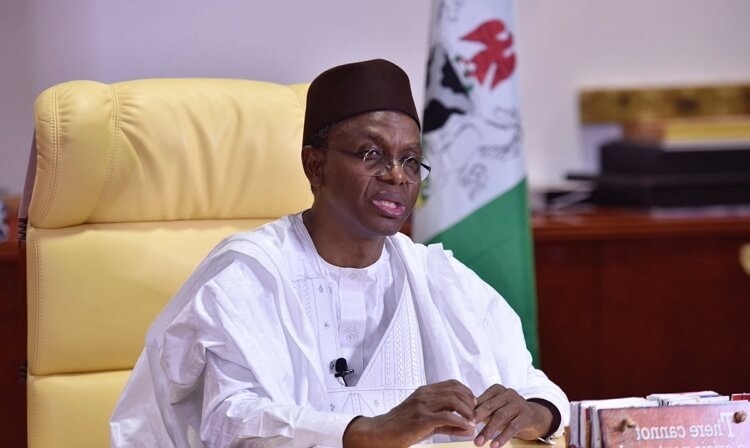 “He has lost Kaduna, he will always lose Kaduna, he will lose Kaduna 10 more times because he has never won Kaduna in any presidential elections,” El-Rufai said. When reminded that the results were from INEC server, the Governor responded, “Well, I don’t know about INEC server, it must be Atiku’s server. I don’t know about INEC server, we don’t know how they had access to it, they will tell us during the tribunal proceedings what is this server and how they got access to it and how they got their numbers. El-Rufai also disclosed that he was in the Presidential Villa, to inform Buhari that he was never in an accident recently. “I came to see Mr. President after my re-election as governor because immediately after the election I took a break. I came back to report to him that I was not involved in an accident, I’m alive, I am not in coma and also to discuss other issues related to my state. “My advice to everyone in Nigeria is to avoid forwarding stories that have not been verified. Social media provides platform for disseminating information but it is also a platform for dissemination of lies and hatred. We should be very careful that we don’t use this platform to advance the cause of the enemies of this country. “I was never involved in any accident, I was not near any accident, in fact at a time I was supposed to be involved in an accident, I was in an aircraft going to another country. But somebody sat and concocted this story and we are trying to trace who started it. Because, criminal proceedings can be initiated against the person. Sometimes it is very difficult to know who started it but we are on it. My advice is that we should rely on reliable news medium, not just any platform or any blog. Unless we hear something from a very reliable news medium, we should be reluctant to begin sharing it as if it is true,” El-Rufai added.